Planters have an obvious use -- to hold plants inside your home or on the patio or porch. You can arrange them to add flowers as accents in your flower beds or as containers on your deck or balcony. Large planters are used as landscape features. If you have extra planters at your disposal, however, there are practical and decorative uses for the containers. Use your planters as decorative accents. Planters come in all shapes and sizes. They are made of clay, terra cotta and ceramic. Plastic and fiberglass planters are made to resemble clay or stone pots but are much lighter, making them easier to move around. You can even buy wood or metal planters for use as decorative accents in your home. Use large planters to grow tomato or pepper plants if you do not have space for a vegetable garden. A handful of herb varieties can fit into one planter; position it near your kitchen. Plant any of your tender plants in pots. Place the pots on rolling stands so you can bring them indoors in cold weather. Place artificial plants or trees in your planters on your porch or inside your home. Large brass or copper pots make attractive pots for palm trees. Use large clay or stone planters on your patio or porch. 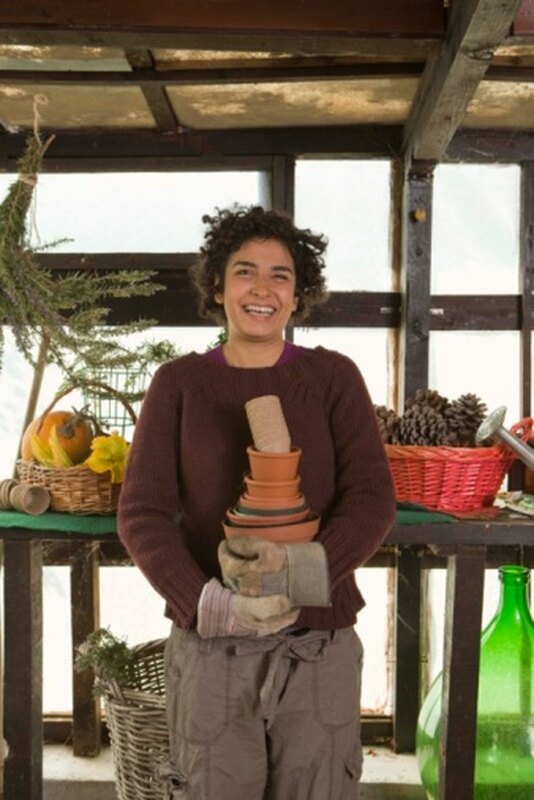 Plant the pots with an evergreen tree to decorate with the seasons. Add fall flowers or vegetables around the base in the fall. String twinkling lights and hang small ornaments on the tree at Christmas. In the spring, decorate the tree with Easter egg decorations. Fill large planters by your front door with pine cones during the fall or winter. The scented ones provide a nice fragrance when guests arrive at your home. Coil your garden hose inside a large clay pot or urn to keep it off the ground and hidden from sight. Be sure the planter has a drainage hole in the bottom to prevent water from collecting in the container. Store small garden tools in pots in your garage. Use small planters to hold items on your bathroom counter. Place cotton balls or swabs in the pots to keep them within easy reach in the bathroom. Use them to hold decorative soaps. Roll up extra wash cloths and display them in a planter. Use larger metal or wood planters to hold rolled-up bath towels for guests. Decorative planters are useful for parties and entertaining. Fill a large urn with ice to chill bottles of wine or champagne. Use smaller pots to hold utensils on a buffet table or at picnics. Fill small pots with sand and small shells. Place a votive candle in the center. Plant flowers or green plants in your planters to use as table decorations at a party or reception. Use clean terra cotta pots to bake individual loaves of bread. Place one at each guest's place. Around the house, large planters are useful by the front door to hold umbrellas or winter gear, such as mittens, hats and scarves. In your den, use large metal planters to hold magazines or newspapers. Keep your pet toys contained in a low planter. Line large planters with a plastic bag and use it as a wastebasket in your bathroom or bedroom. Place small planters on your desk at work to hold pens and pencils or wrapped candy.